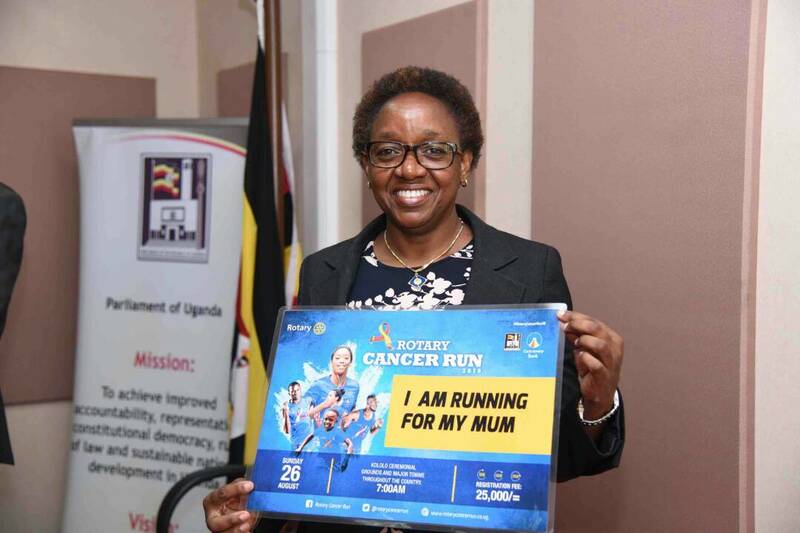 The 7th edition of the Rotary Cancer Run was launched on July 11 by the Honorable Speaker of Parliament, Hon. Rebecca Kadaga and District Governor D9211 Sharmila Bhatt. The function was graced by our long term partner Centenary Bank who made a generous contribution of UGX 155 million to this year's run. 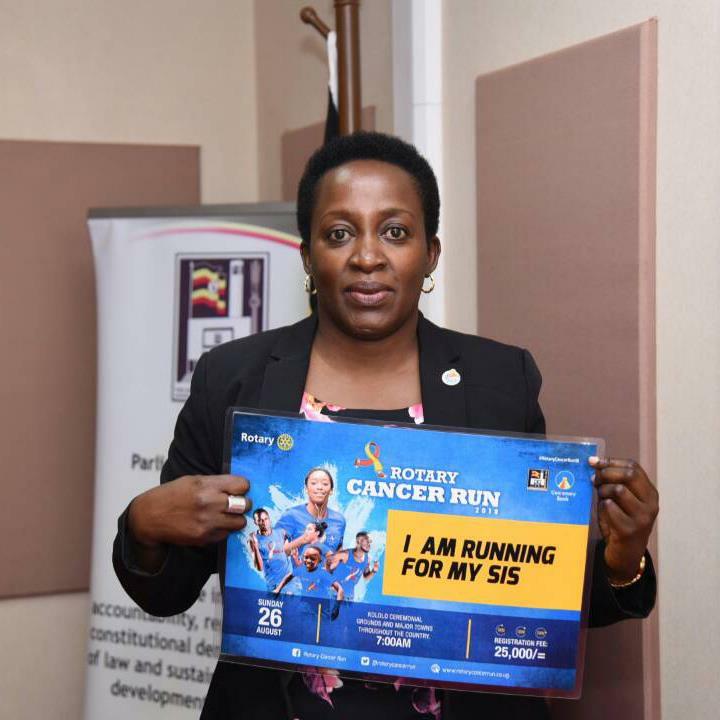 The goal of the Rotary Cancer Run 2018 is to raise funds for the construction of a bunker for the Linear Accelerator at the Rotary Centenary Bank Cancer Ward in Nsambya Hospital. The Rotary Cancer is a brain child of PDG Steven Mwanje and was launched in 2012. It’s an annual Social Responsibility Program for Rotary in Uganda. 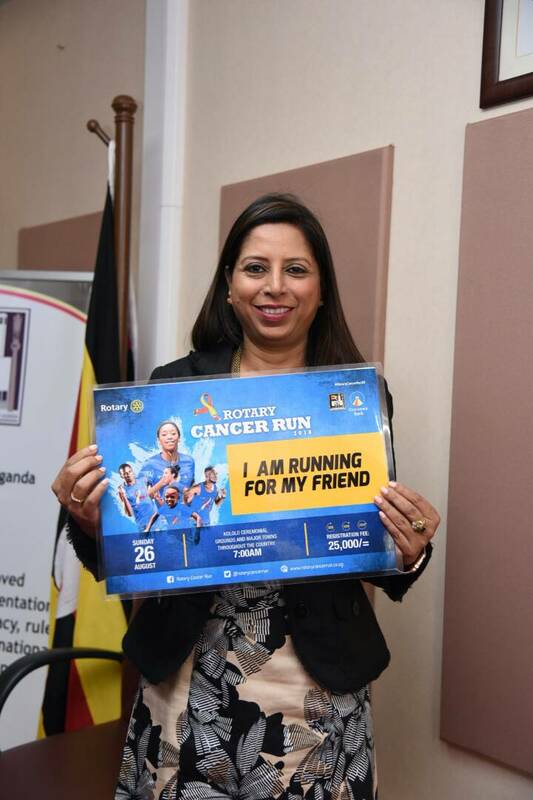 The Cancer Run Campaign won an award in the PRAU Excellence Awards 2017 in the category of the Best PR Not for Profit campaign. Every year it gets bigger and better with more corporate partners and runners.